One of the most interesting bit of feedback wandered into the idea of “situational awareness” which the emailer suggested was an essential part of the benefit of experience. The Boss is a pilot and pilots are always being cautioned to be aware of the situation around them particularly in the environment around airports when they are taking off or landing. Here’s an example of how it works. 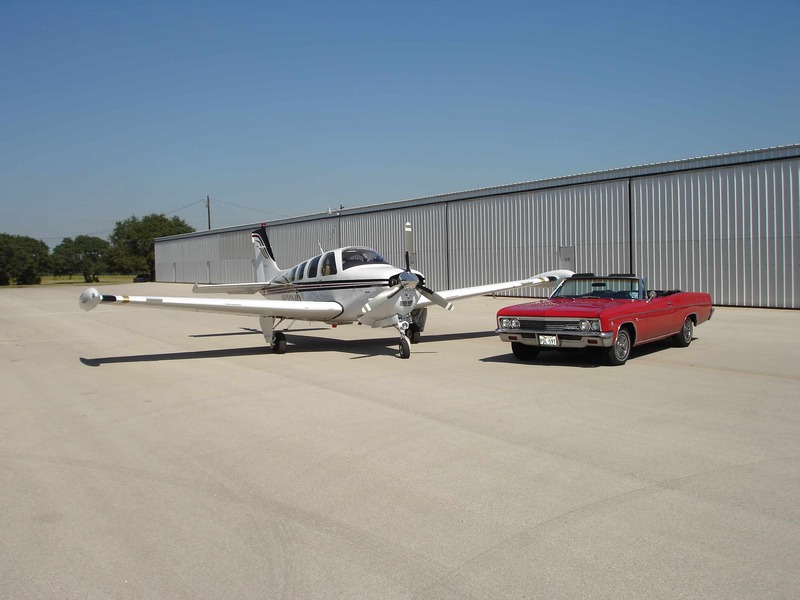 Once upon a time, The Boss was going into Lubbock — approaching from the east — flying his Bonanza (the Mercedes of single engine prop planes) after a thunderstorm had just blown through. It was after dark but still the air to the west of the airport was visibly clear and clean while the thunderstorm itself was still raging to the east of the airport. There was lightning both cloud to cloud and cloud to ground. It was spectacular and threatening. Lightning at night always looks a lot closer than it is. A safe distance would be 40-50 miles from an active thunderstorm and you want to stay upwind not downwind. Downwind you can get some hail. He was passing south of the thunderstorm and had diverted more to the south to stay out of the thunderstorm’s downwind anvil. That’s where the hail is. Air traffic control had just switched him to the Tower which would guide him in to land. The runways lay north-south and the thunderstorm had blown across from west to east. The landing direction was from north to south and there would be a crosswind. Tower told him to join a “left downwind” which implied a left base and then a left turn to final. This would all be on the same side of the runway as the thunderstorm, in effect bringing him closer to the thunderstorm. The Boss asked for and received a “right downwind” which would entail right turns to base and final. This would be on the west side of the runway and much farther from the thunderstorm. Before we get too dramatic, I am sure the flight pattern on the right (east) side of the runway would have been just fine but it would have been much closer to the thunderstorm. Remember thunderstorms and lightning always look much closer at night and it would have screwed with The Boss’s head and potentially have distracted him. Lightning at night can blind a pilot for a few minutes because it is so bright and the sky is so dark. This was another consideration. When he turned to base, he would have had the thunderstorm at his back and be unable to see it. Not a good thing. On the other side of the runway, he would always be able to see the thunderstorm and know he was a safe distance. His mind would have been at peace and he could concentrate on that big Lubbock crosswind. The landing was uneventful except for the stupendous crosswind. Lubbock always has a healthy wind and while the air was Mr Clean clean, the crosswind was a full rudder, wing down, test pilot crosswind. Luckily, the runways at Lubbock are B-52 wide and a good pilot could probably land on them crossways. They are that wide. The wind was 27 knots so the crosswind component — the vector of the wind directly across the runway — was in test pilot range as a Bonanza is only tested at about 17 knots crosswind component. It happens and sometimes it is just fine that you don’t really know the crosswind component. You an cheat and use some of that width to allow you to line up a little crooked to cheat the crosswind and get more of it on your nose. A pilot wants the wind on his nose when landing. You land into the wind. That is situational awareness — knowing what is going on around you and putting yourself in a better position to succeed. In the military they call it “clearing or checking your six” because six o’clock is the direction that is directly opposite from the direction you’re facing. The direction you’re facing is twelve o’clock. In business, you want to make every decision with careful regard to the entire situation — situational awareness. Before you make any big decisions, check your six. 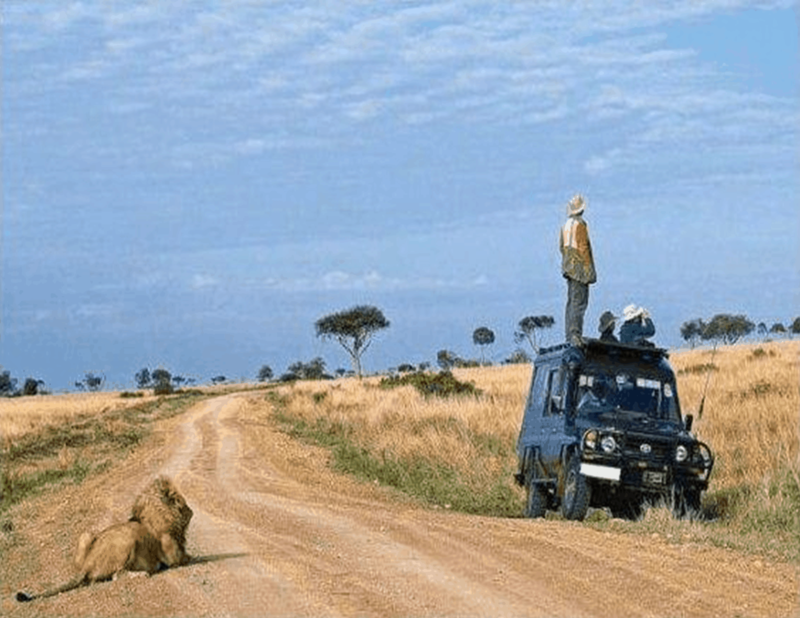 Situational awareness. The fellows in the picture above have clearly failed to check their six, no? Simba is only considering which one will go best with a nice Newton unfiltered cabernet he’s been saving for such an opportunity. But, hey, what the Hell do I really know anyway? I’m just a Big Red Car. Whoa, Simba! This entry was posted in Advice, CEO coaching and tagged ceo coaching, entrepreneurship, experience, situational awareness. Bookmark the permalink. Play the dominant hand? Or fake em out? Situational awareness is critical to harnessing experience to your benefit. The Simba picture alone was worth the discourse! I predict Simba eats well tonight. No?